Do you have a communication gap at work thanks to a difference in ages between workers and supervisors? 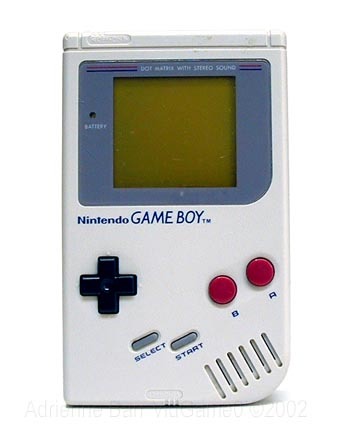 My coworkers and I were blown away the other day when our boss, who is about 40 years-old, told us that he had never even heard of a Nintendo Gameboy, the handheld game console, before. We had been trying to describe a small electronic device that was available that could work to solve a problem we were having. But, my boss could not envision what we were talking about because he did not have the same frame of reference that his younger subordinates had. Eventually, we had to tell him that the device we wanted to use resembled a walkman. Despite still being skeptical, he knew exactly what we were talking about. Recently, friends of mine were listing all of the things that our children will never know existed in their lifetimes. In just a few short years, cassette tapes are obsolete thanks to compact discs. CDs are relied on less and less thanks to Apple’s iPod. My wife and I still say that we are going to “Tape a television show” despite the fact that we are really talking about DVR and no actual tape is involved. It is not unusual when you start your professional life that your boss will be many years older than you. My first boss looked like he was going to kill over at any minute and miss his chance at claiming Social Security benefits if he did not hurry up and retire. Immediately, I wondered how I could ever communicate my ideas to someone so much older than me. The communication barriers between two different generations are endless, but we have to strive to conquer them in order to get ahead in our careers. So, how do you bridge the communication gap at work? One thing you have to understand yourself is that if you are busy, chances are that your boss is a lot busier and doesn’t have time to waste deciphering our generation’s grammatical code. So when you approach your boss, give a complete overall picture of the idea or suggestion that you are about to make and make sure it is concise enough to generate interest without wasting time for the boss. Remember the rule, “The boss is always right.”? Learn it, and make it your anthem. This especially comes in handy when your boss is eons older than you. When people with more age and experience manage younger employees, they tend to feel, more often than not, that their young employees will not be able to handle all the work efficiently enough. There is a barrier there. But, clear communication skills from both generations can conquer your boss’s bias. So, if your boss looks like he or she is about to kill over at any moment, you will have to reconsider how you talk to him, approach topics, and express ideas to him or her. Your job may hang in the balance if you cannot adequately express ideas to him in a language you both can understand. Did I miss anything? How do you bridge the communication gap with your boss? Let us know in the comment section below. Previous post: Is Money The Root Of All Evil?